Raw Genesis : Fred reports about "Raw Food Controversies"
Fred reports about "Raw Food Controversies"
As you know, I am very fond of several leaders in the raw food arena-- Fred Patenaude-- known to some as "Mr. 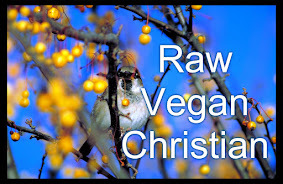 Raw Food Controversies"-- is one of my old standby faves. For the past few months he has been traveling the world with his bride. He has recently been 'holed up' in Thailand working on his new book, "Raw Food Controversies: Avoiding Mistakes That Can Sabotage Your Health". He states that it will likely be out for Christmas (although he makes no firm promises). In this book, Fred makes an effort to explore what really works for him-- what diet is the optimal one for health and longevity. He states that the book reads like a novel about a 'raw food adventurer' and that it contains the kernels of truth that many are looking for. Expect a big launch of this book with some surprise announcements. You will likely want to check out the rest of what Fred has to say in his blog here and to be notified when the book comes out so that you can take part in the goodies that come with the launch.